Price reduced! 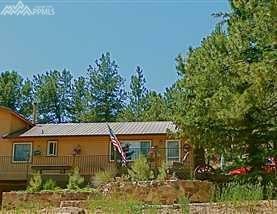 Sportsmans Paradise Retreat Beautiful home in the most sought after private gated fishing community in Colorado. Named "Best Fly Fishery in Colorado" by Field & Steam magazine years ago and it is better now. Two miles of trophy trout South Platte River plus 10 miles of wilderness river fishing. There are also several lakes to catch trout that exceed 10 lbs.